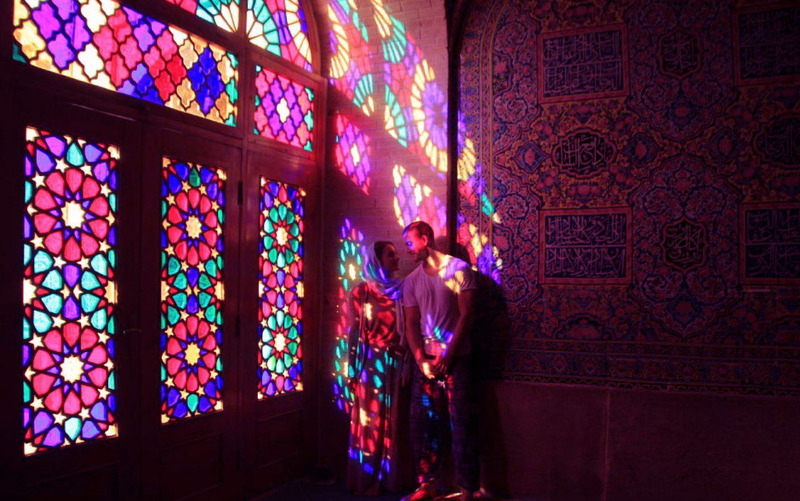 One cannot speak of the attractions of Fars and not mention the name of Nasir-ol-Molk Mosque in Shiraz; an attraction that is famous for its pink outlook, and takes everyone by surprise. 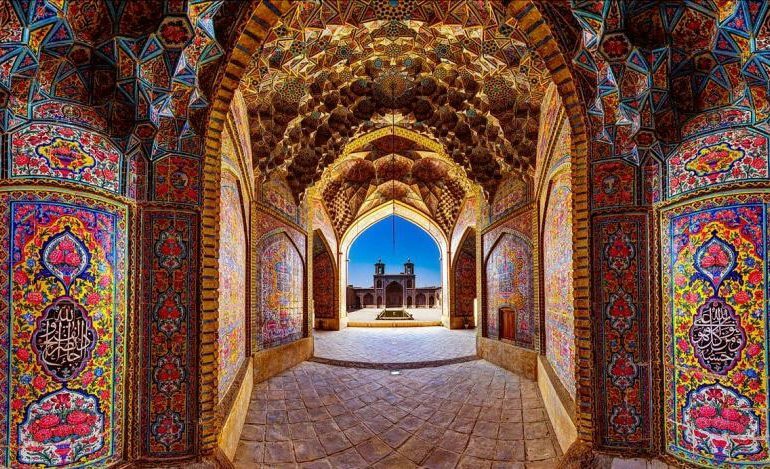 The tile work in Nasir-ol-Molk Mosque is so beautiful and elegant that it can be watched and marveled for hours on end. 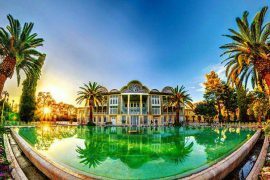 Everyone is tempted to travel to Shiraz after seeing a photo of Nasir-ol-Molk Mosque. 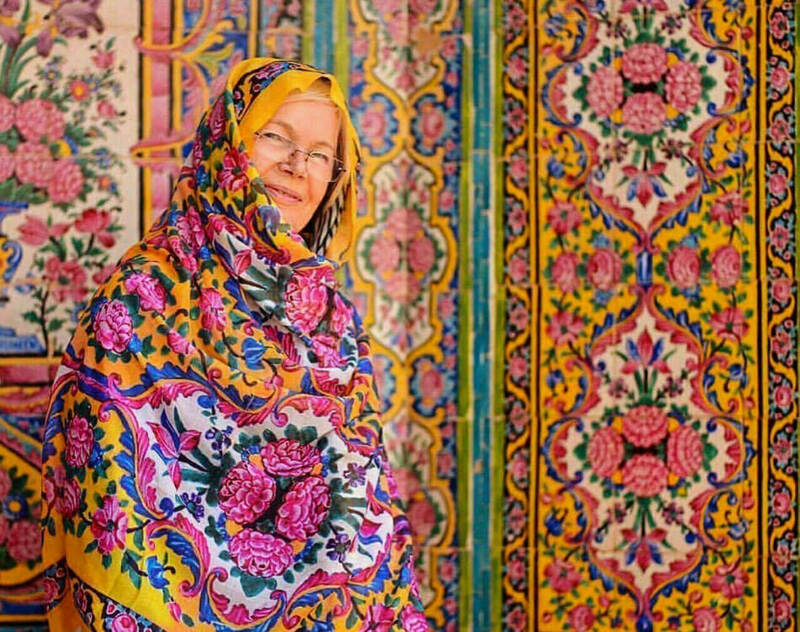 The glorious design of Nasir-ol-Molk Mosque has led us to Shiraz and at its doorstep. Stay with us as we learn more about this spectacular mosque. What is Nasir-ol-Molk Mosque known for? 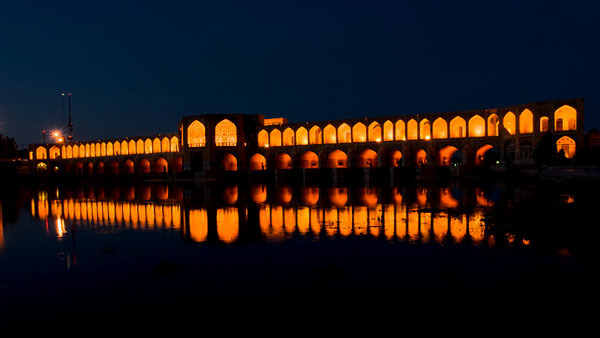 Nasir-ol-Molk Mosque is one of the most unique and different mosques in Iran. 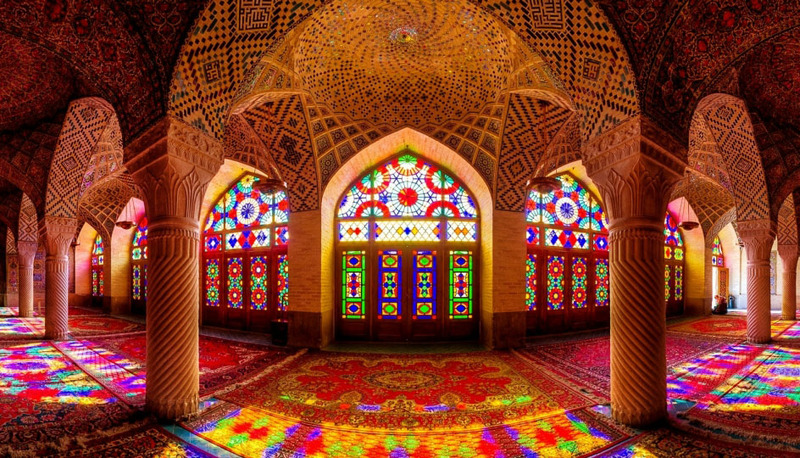 The mosque is famous for its colored glasses. Nasir-ol-Molk Mosque tiles are unique in their kind. 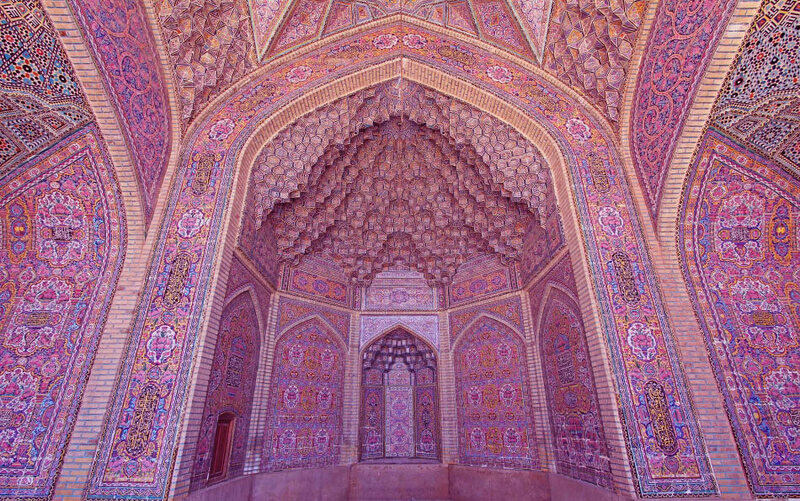 The use of pink color in the tiles of this mosque has made it more spectacular and famous, hence the name “Pink Mosque”. 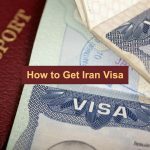 It is one of the most popular attractions in Iran for foreign tourists. A popular place for photography. 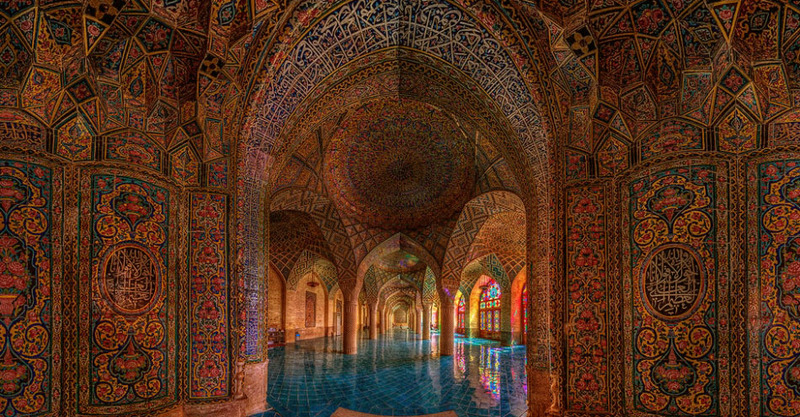 Nasir-ol-Molk mosque is known as the most valuable mosque in terms of tiling and Muqarnas. What does Nasir-ol-Molk Mosque look like? 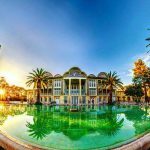 Nasir-ol-Molk Mosque is one of the most famous sights in Shiraz, which is located in the old neighborhood called Gaud Arab. 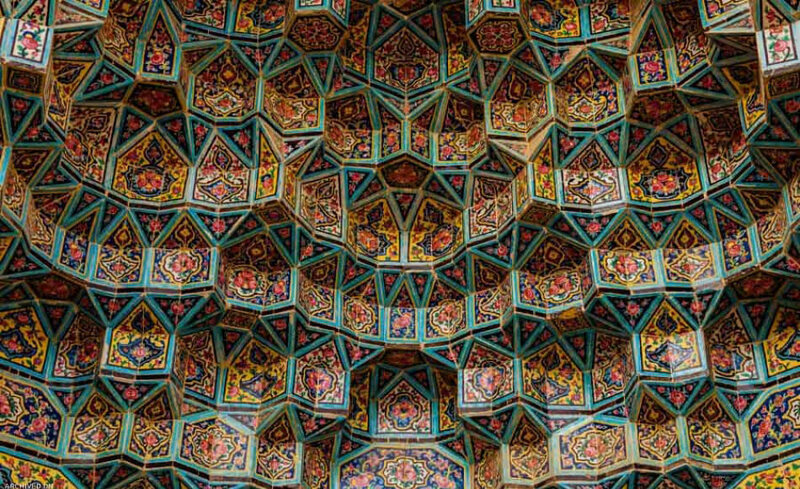 This masterpiece of Iranian-Islamic architecture is a beauty; when you get to the wooden door, your eyes catch the sight of rose and lily flower filled tiles and Muqarnas. Its effect on your mood is instant. What looks great in this building is the use of pink tiles and this has led to the nickname “pink mosque”. 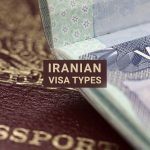 After crossing the vestibule and entering the rectangular yard, everything looks like any other mosque in Iran; beautiful tile designs, rectangular pillars between the courtyard and anything else that is normal in a mosque in Iran. Shortly after you reach the basement, you will notice the difference; the colored glasses combine with the sunlight and launches a color frenzy. After more than 150 years, the mosque is still used for religious purposes. 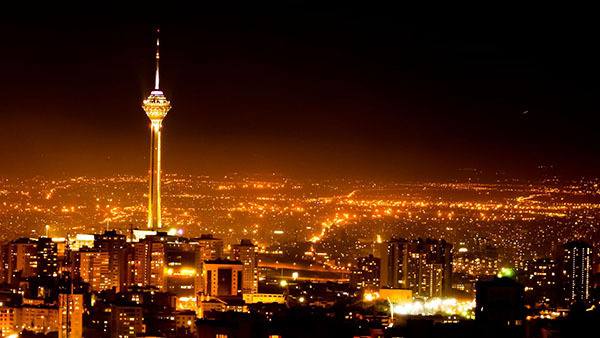 Its beauty and uniqueness managed to get its name in the Iranian National Monuments list on February 1955 with the number 369. What is the history behind Nasir-ol-Molk Mosque? 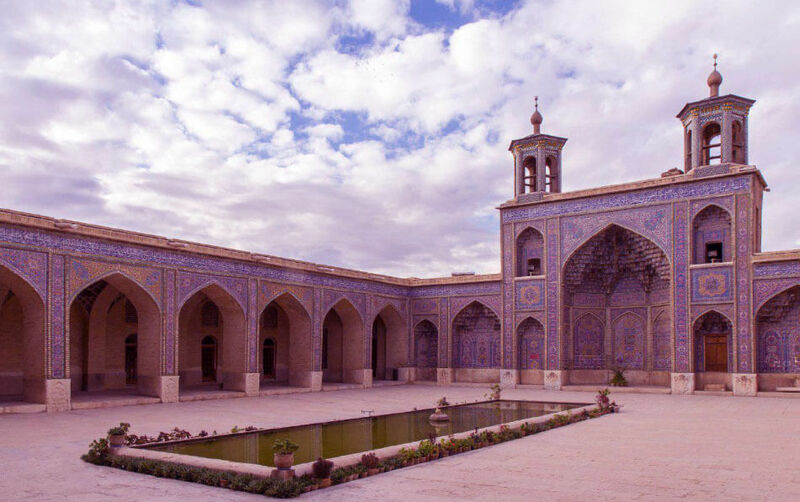 In 1914, the ruler of Fars, Mirza Hassan Ali Khan, nicknamed Nasir-ol-Molk, decided to build a mosque for charity, thus ordering the construction of Nasir-ol-Molk Mosque. Based on the inscriptions on the entrance door of this building, Haj Mohammad Hassan Memar and Mirza Reza Kashi Gar made the mosque. The cost of constructing this mosque was covered through the Khums and Zakat funds that people give, the ones that the clerics had refused to receive due to a noncash policy. After 12 years from the start of construction, in the year 1925, the construction of Nasir-ol-Molk Mosque was completed, but there were no colored glasses. The colorful windows and doors were made in 1969 by Haj Mirza Ayat. 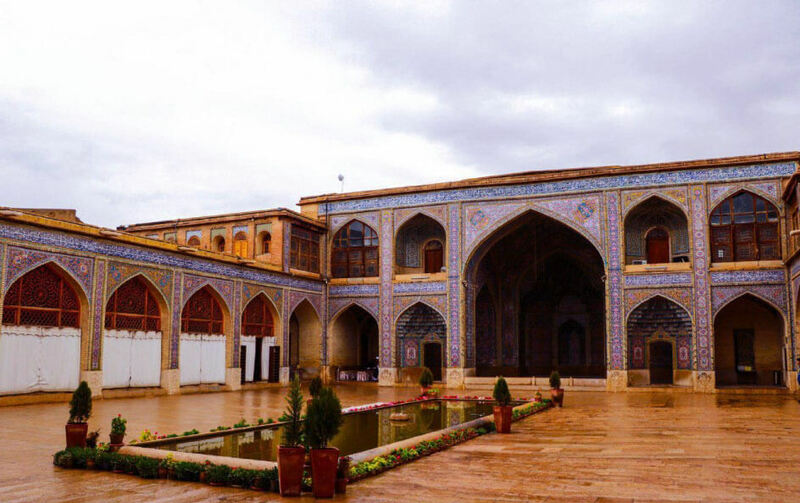 The mosque was at first consisted of the mosque itself, a house, a bath, and a warehouse, but a large part of it included the Andaruni and the entrance of the house, the bath, and bathroom. The space between the house and the mosque was occupied during the construction of a new street named after Lotf Ali Khan and today there is just the road itself. 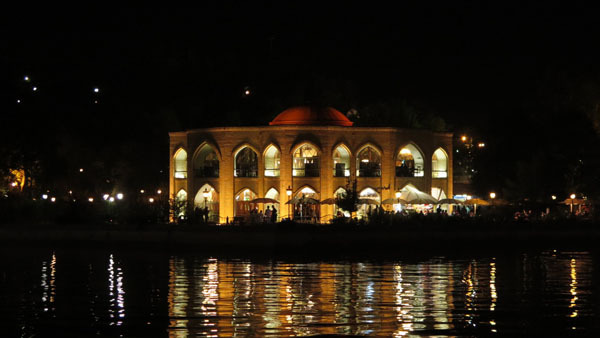 In the strength of the foundation and the stone basins and columns, the nave, the lake (pond), it is like Moshir Mosque, a little bigger, with added new additions that work to its benefit. The second period was from 1991 to 2006. 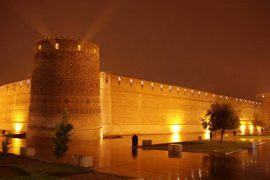 Nowadays these reconstructions are still happening more or less and the cost of it is covered through the endowment income from the mosque and the endowments of Nasir-ol-molk himself. 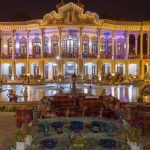 Mirza Hasan Ali Khan Nasir-ol-molk came from a famous family, namely Qavam Shirazi and was the son of Qavam-ol-Molk, and was considered a nobleman in the Qajar period. During the reign of Nasser-al-Din Shah, he was governor of Shiraz and Fars, and he was known as a just ruler with fairness. 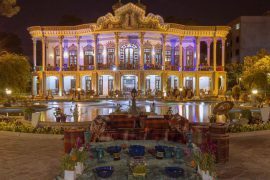 The late Nasir-ol-molk had many properties, including a large part of the Saadi district in Shiraz, a large farm located outside of Shiraz, several villages in Beyza County, and several villages around Fasa and Sarvestan. He devoted all his assets and possessions to charity, and today his descendants are working in his charity cases and spend the proceeds of his properties for charitable purposes. 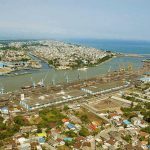 How was Nasir-ol-molk Mosque built and what does the architecture look like? Nasir-ol-molk Mosque was built in an area of 2,890 square meters and it covers an area of 2,162 square meters. 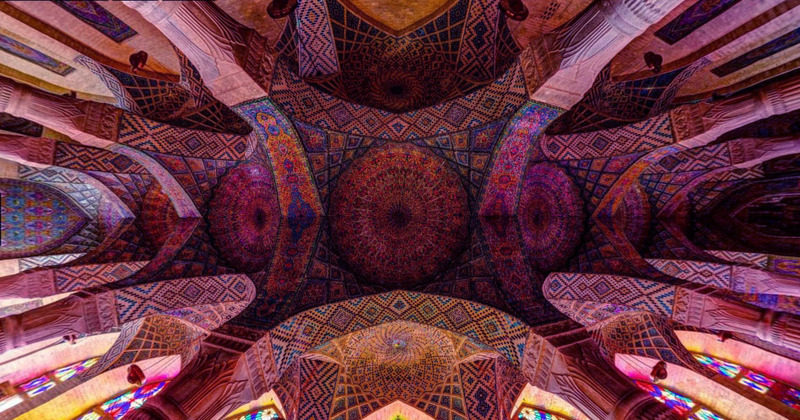 One of the hallmarks of Nasir-ol-molk Mosque is its tile works and Muqarnas and is considered to be the most valuable mosque in Iran. Interestingly, there is no dome in this mosque, which indicates that this religious building was quite personal and not used by the public. The mosque’s tiling is very spectacular, and it’s like is not available elsewhere. 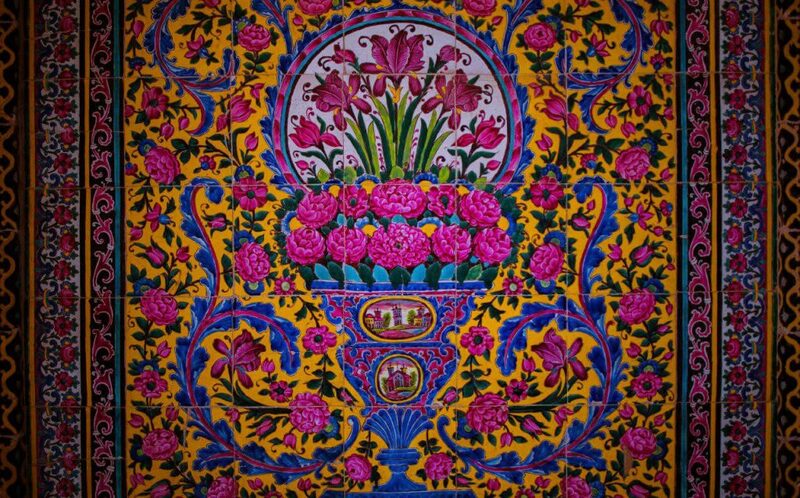 One of the features of this tile work is the use of pink as the dominant color that is not usual in any other Iranian mosque. Nasir-ol-molk Mosque is unique in its kind and its elegance is exemplary. 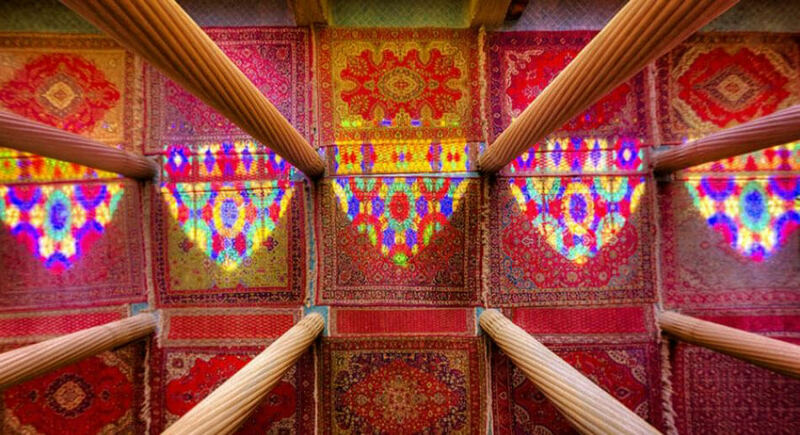 The structure of the basement and the use of colored glasses are also considered to be the enchanting effects of this mosque. What are the different parts of Nasir-ol-molk Mosque? In the following different sections of this mosque will be reviewed: There are 7 simple columns on the eastern side that are located in the middle of the space and are in a row and the ceiling is decorated with Maghali tile works. In these tile works, the small tiles are put together to get the right depiction. Behind the eastern nave, there is a door which opens towards a large well known as “Cow Well” or “Cow Open”. The cow wells are in fact wells that use animals for getting water. In the summer, they used the cows in order to get water from the wells for irrigation and drinking. 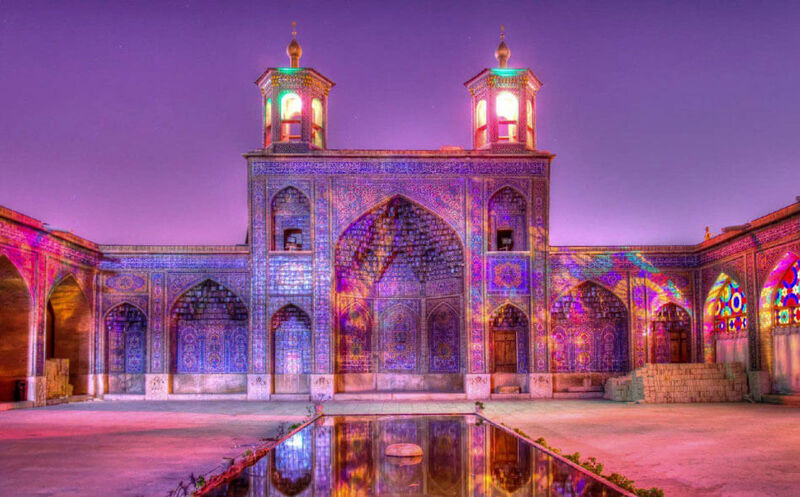 This part of Nasir-ol-molk Mosque has been the site for keeping water carrying animals. The animal would pull a bucket of water out of the well and emptied it in a pond that had a fountain in it. The most spectacular part of the mosque is the western nave or summer basement, which is one of the most beautiful naves in Iran. In this part of the mosque, the wheat stone has been used in its construction plus the fact that the masonry and decoration of it is a replica of Vakil Mosque. Circular coatings are small in height around the domes but it looks very nice either way. The vaults and walls of the western nave are decorated with beautiful tiles and the mosque floor is covered with turquoise tiles and its facade is also made of brick. 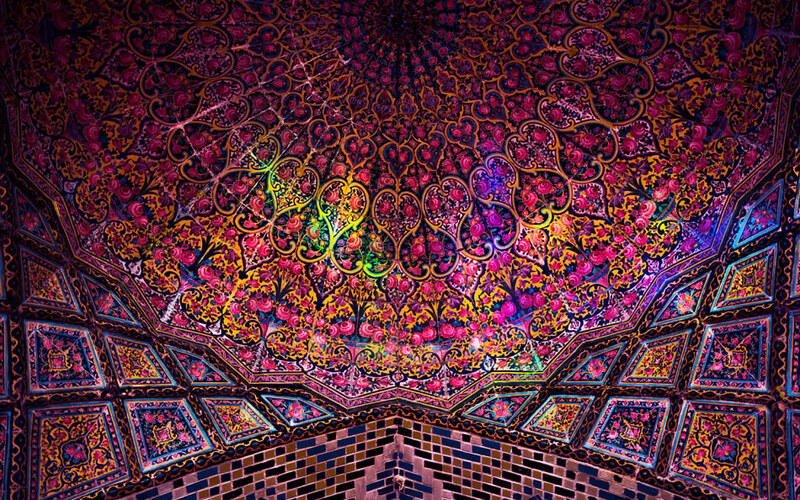 On the ceiling, depictions of flowers, shrubs, and Islamic designs, as well as Quranic verses, are on display. In the past, there were also paintings of rose flowers in this nave, but during repairs in about 70 years ago, they covered it with cobblestone tiles. If we put the eye-catching decorations aside, the first thing we notice is the stone columns, which are placed in two rows of six, and their number reaches twelve as in the number of Imams. 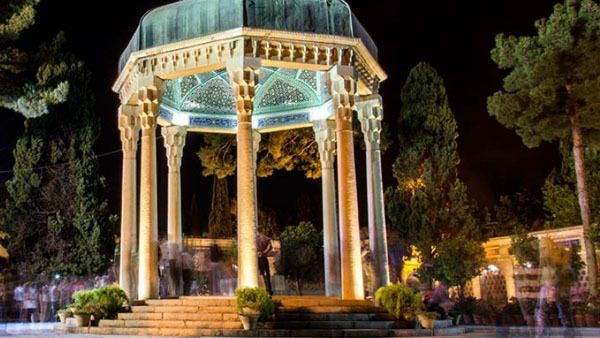 These thick columns have spiral designs and are one of the most beautiful columns in Shiraz. Seven arches are located between the two pillars, and at the end, there is a beautiful altar that has been created by making a chamber in the naves wooden chassis. The floor of the altar is made of marble and its surface is lower than the floor of the nave. This nave has seven wooden doors with colored glasses that open to the courtyard. N Nasir-ol-molk Mosque owes its reputation to these colored glasses that create a unique display of sunlight. 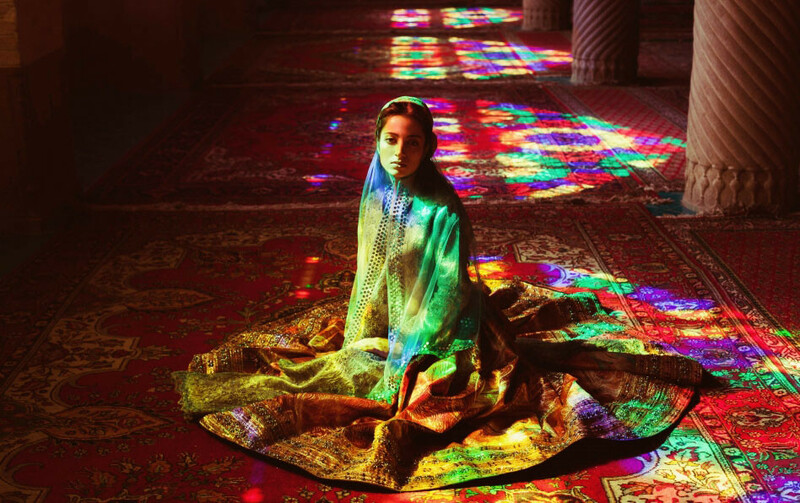 This rainbow effect is the work of Professor Haj Mirza Ayat, and it catches everyone by surprise. What is the best time for visiting Nasir-ol-molk Mosque? The best time to see this beautiful place is just before 9:00 o’clock. 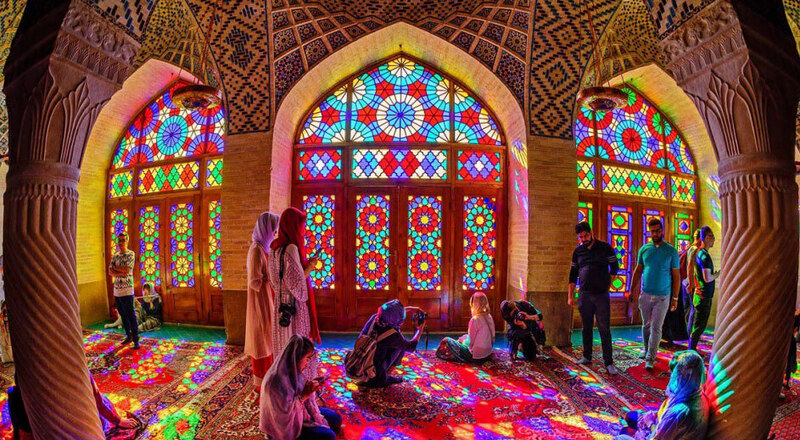 Many tourists believe that from 8:00 to 10:00 o’clock is a good time for visiting the Nasir-ol-molk Mosque, although that is considered to be the rush hour and it may be annoying for some, but it is certainly worth seeing those beautiful colors. 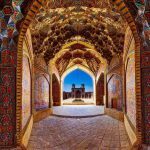 What is the best time for taking pictures in Nasir-ol-molk Mosque? 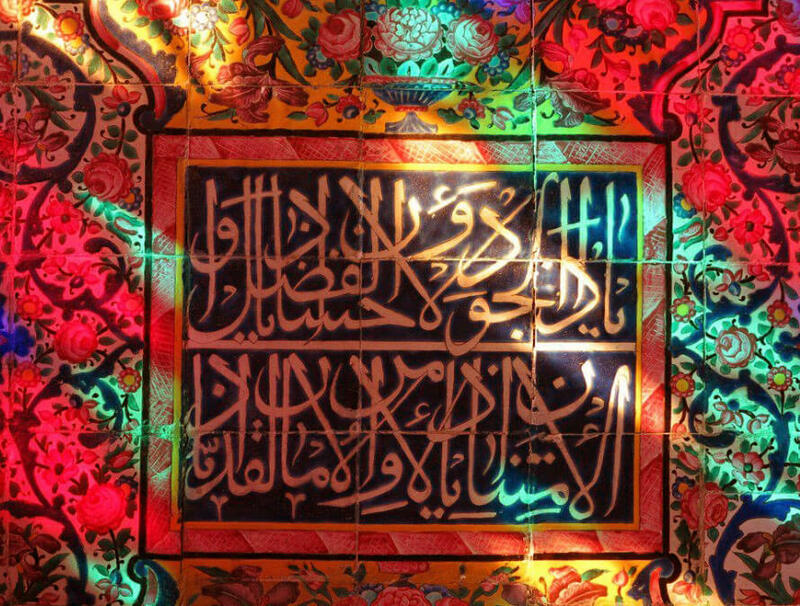 If you are looking to take a spectacular photo from the western nave of Nasir-ol-molk Mosque, go to Shiraz from mid-fall to mid-winter, as the sun’s rays make these days the best in terms of light conditions for photography. Of course, to record a masterpiece, you must get up early, be there somewhere between 7:00 am to 9:00 pm because the largest amount of light is at this time. If your goal is to record a stunning image of the pearl arch, go to the mosque in the afternoon, because the light shines towards the pearl arch and makes it look prettier than ever.